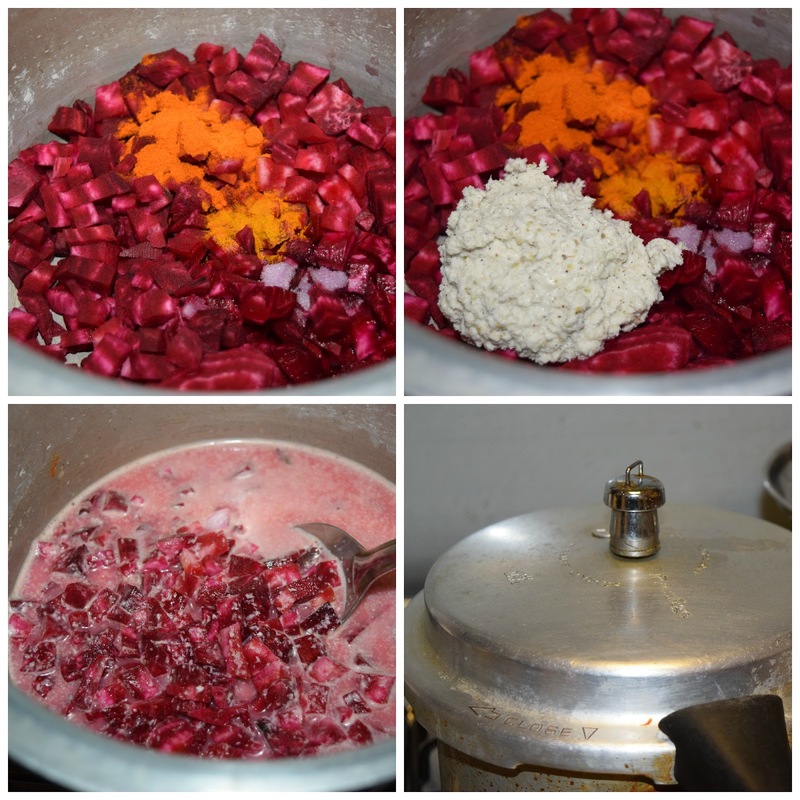 Bored of preparing beetroot poriyal? 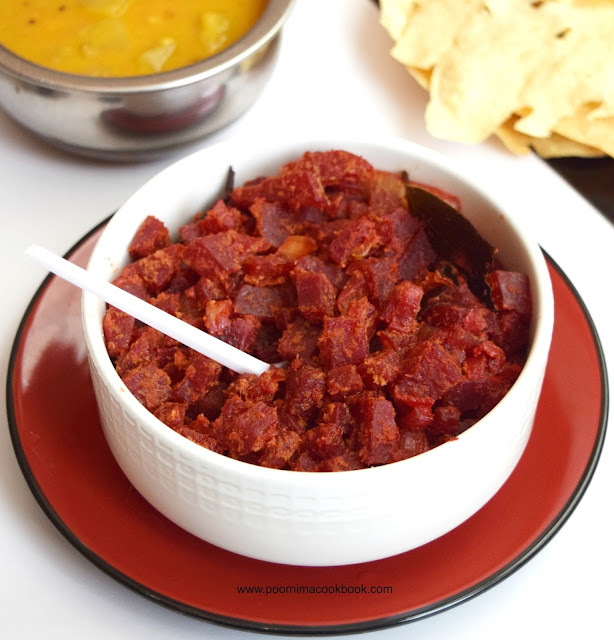 Try our home style beetroot masala recipe for a change! It suits well as a accompaniment for rice. Wash, peel the skin and chop the beetroot into bite sized pieces. Keep aside. Grind coconut and fennel seeds using water; keep aside. Take a pressure cooker add the chopped beetroot, turmeric powder, red chili powder, ground coconut paste and salt. Add water ( 1/2 to 1 cup) and give it a thorough mix. Close the pressure cook with the lid and cook it for 1 or 2 whistle. Switch of the gas and keep aside. 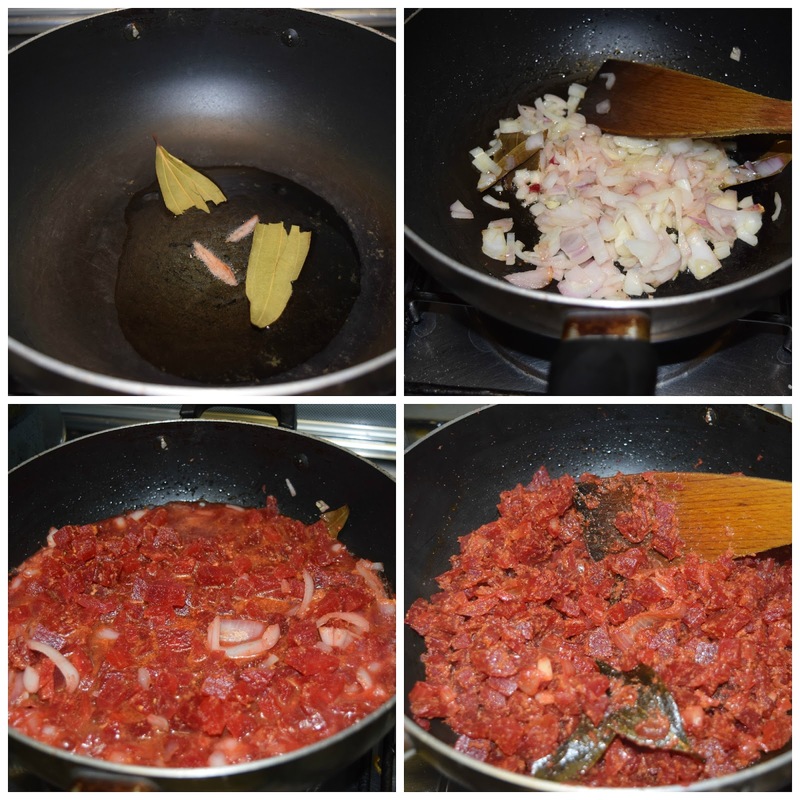 Heat oil in a kadai; add season it with cinnamon, bay leaf and curry leaves. After it crackles, add chopped onion. Fry till onion becomes translucent. Now add cooked beetroot along with the water in the pressure cooker. Give it a mix. Check for salt and spice level, add if required. Cook till the water dries up; give it a thorough mix and switch off the gas. Serve hot as a accompaniment for rice paired with sambar / rasam / curd or you can also serve a s dry subji / curry for chapathi. Poor I. You must believe me. 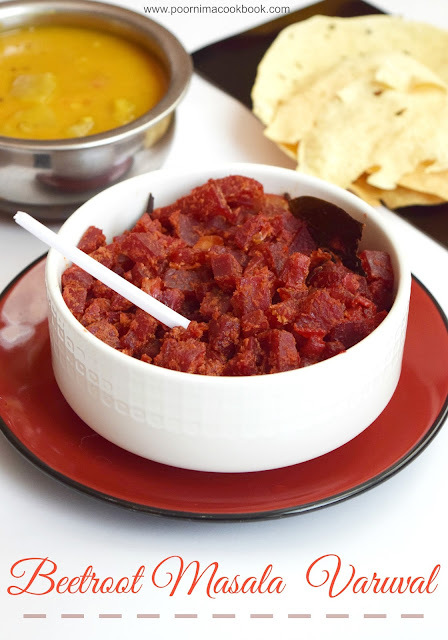 I love beets with masala. Lovely.